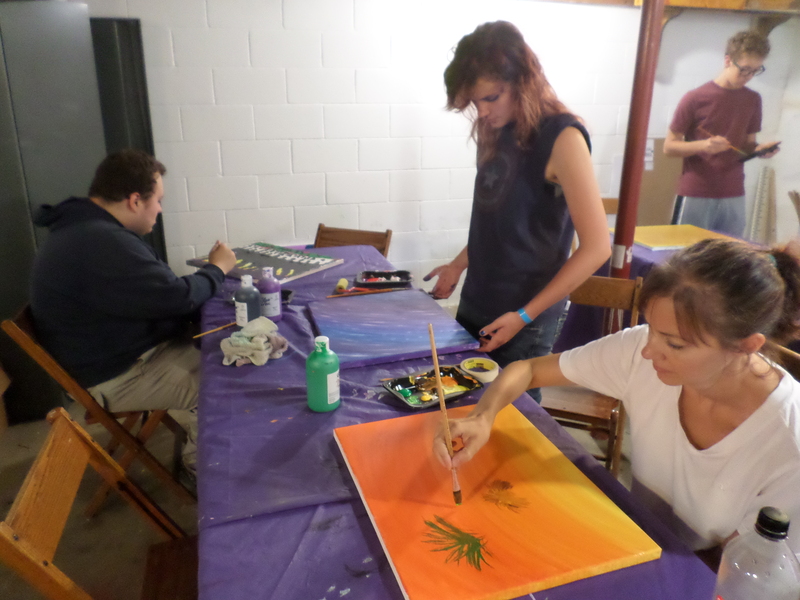 We had an enjoyable time at our landscape painting workshop. 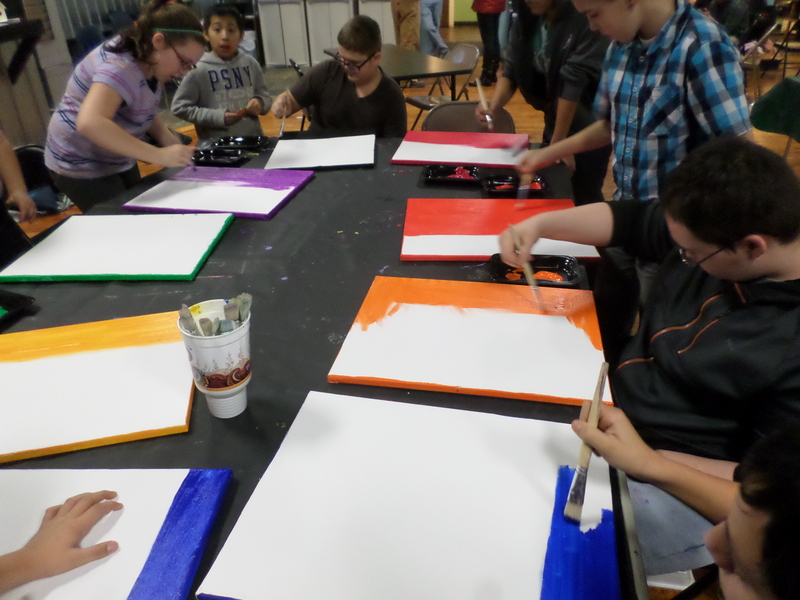 Everyone jumped into the creative process as they began with their sky in their painting. 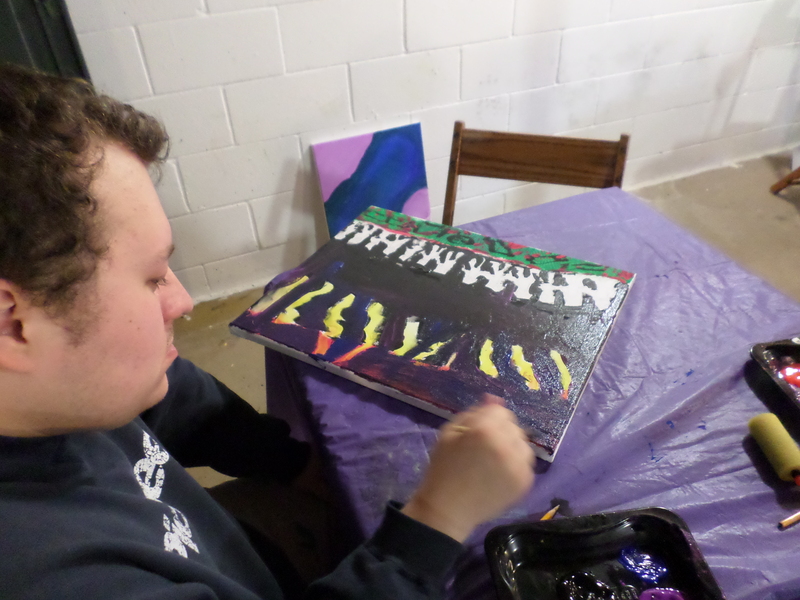 Learning to control the brush was one skill we explored. Next we added the ground to our image. Adding trees to the paintings was the next step. Everyone put their own unique touch to their landscape. Signing their work was the final step of the workshop. Here are some examples of the completed landscapes. This class will guide you to create a simple acrylic summer landscape and allow you the freedom of exploring the medium yourself. 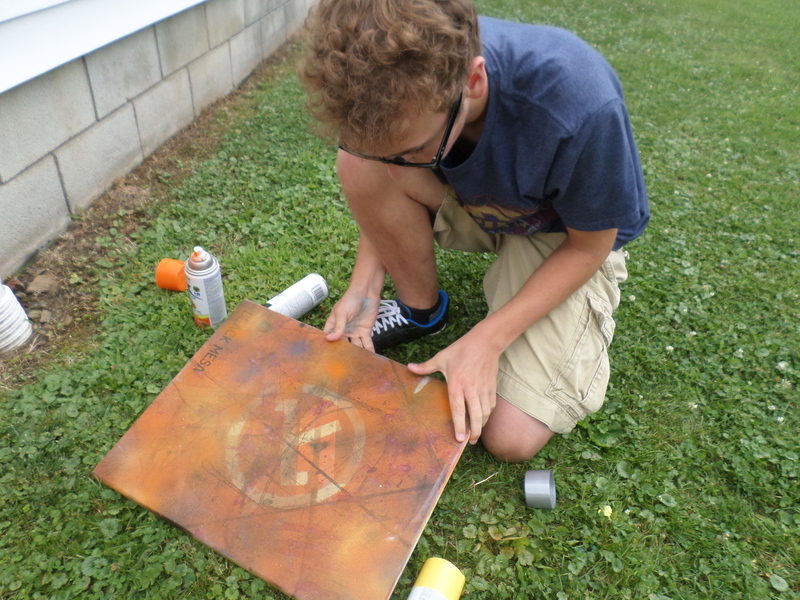 Each participant will use a 16” x 20” canvas. We held our first Spring Landscape Painting Workshop in April. 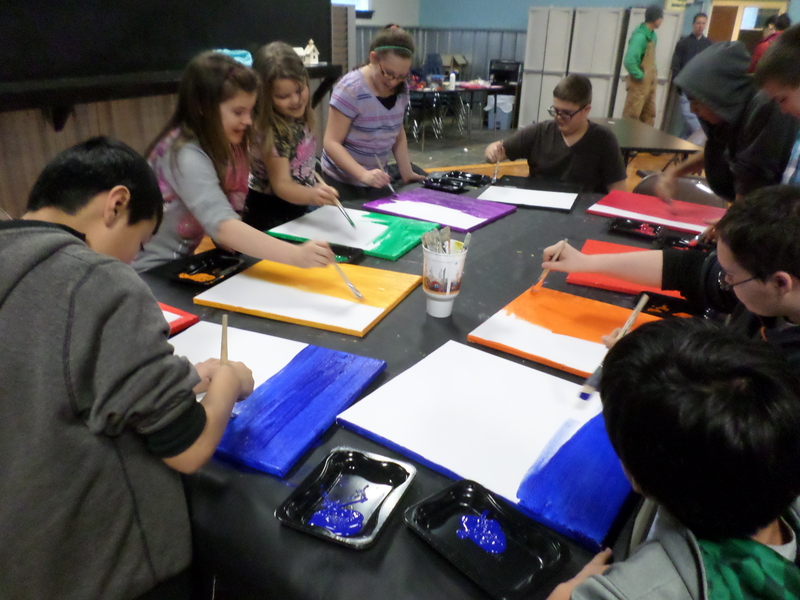 Everyone enjoyed learning about the process of creating a landscape with acrylic paints. 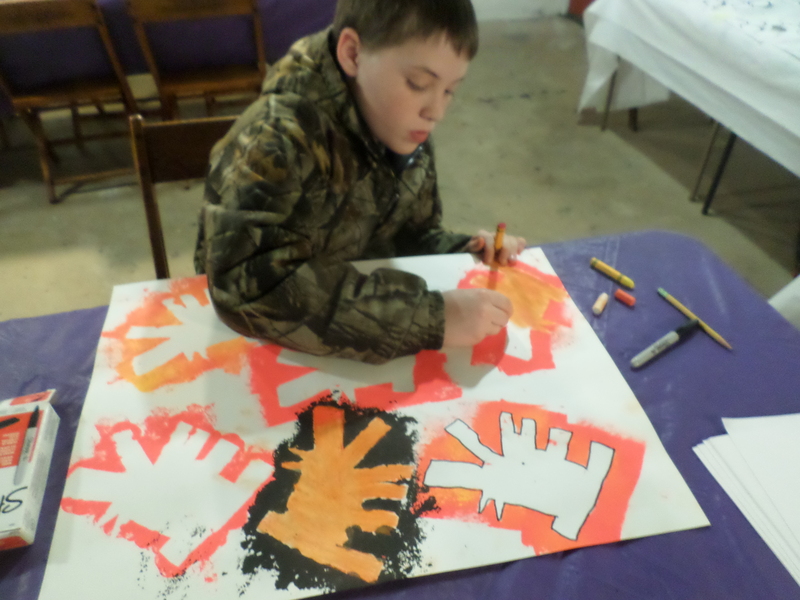 After learning about the various parts of the landscape, everyone enjoyed working with acrylic paint. Learning that small details can make a large impact to your landscape was a great learning experience for all involved. 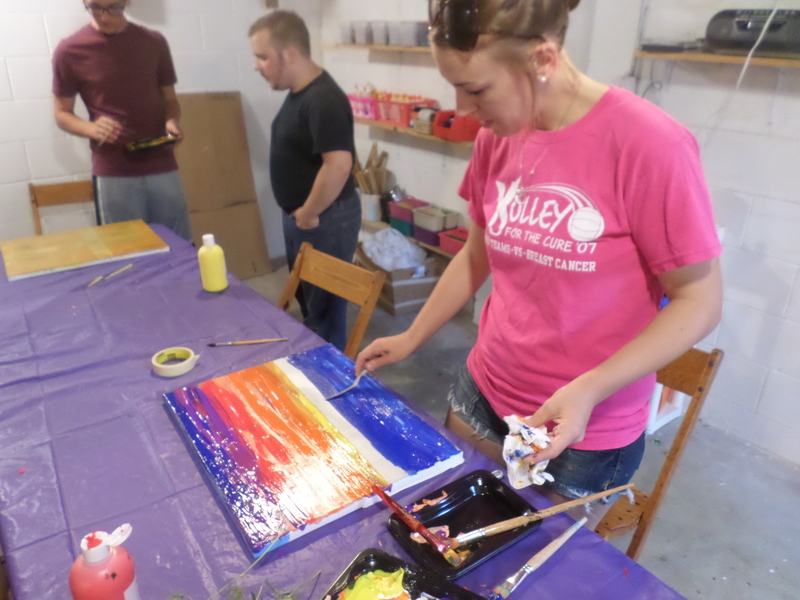 All of the participants had fun taking their landscape in different directions as they built confidence in their abilities. Our next landscape painting class is Thursday, June 23. Maybe you can join the fun! 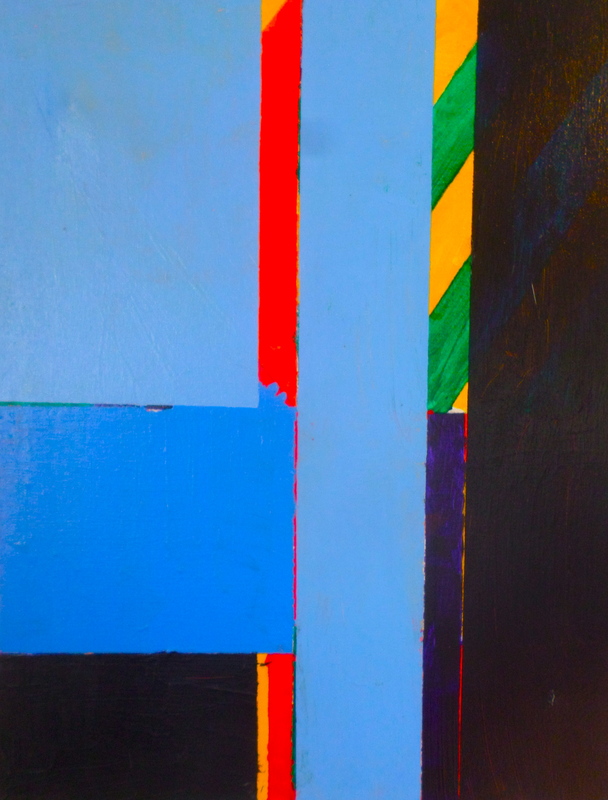 Come view over 170 canvases from six years of emerging talent from the visual art students of Richmond, New Haven, Central and the former Greenfield Schools from the 2008-2014 school years. 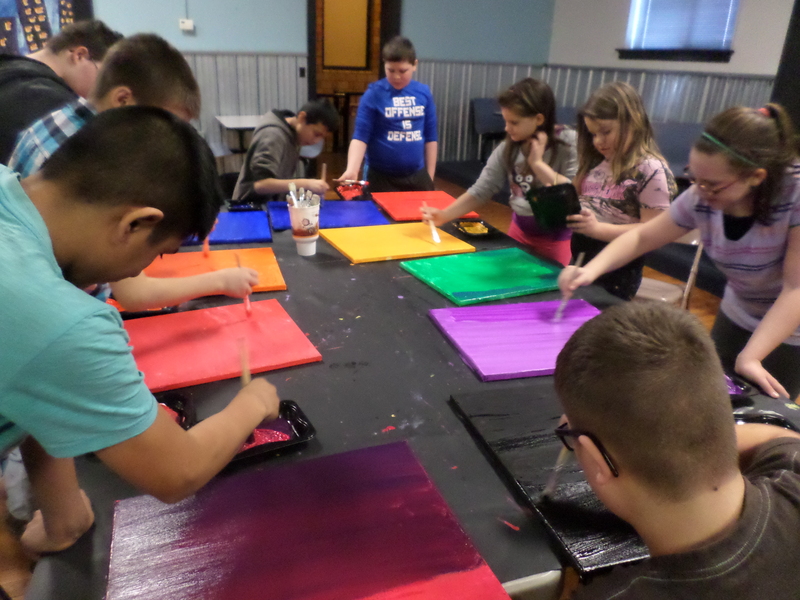 Under the direction of artist/teacher Kevin Casto, students have been introduced to painting and explored various themes, concepts and skills along with color theory and art history with mixed mediums on 16 x 20” canvas. 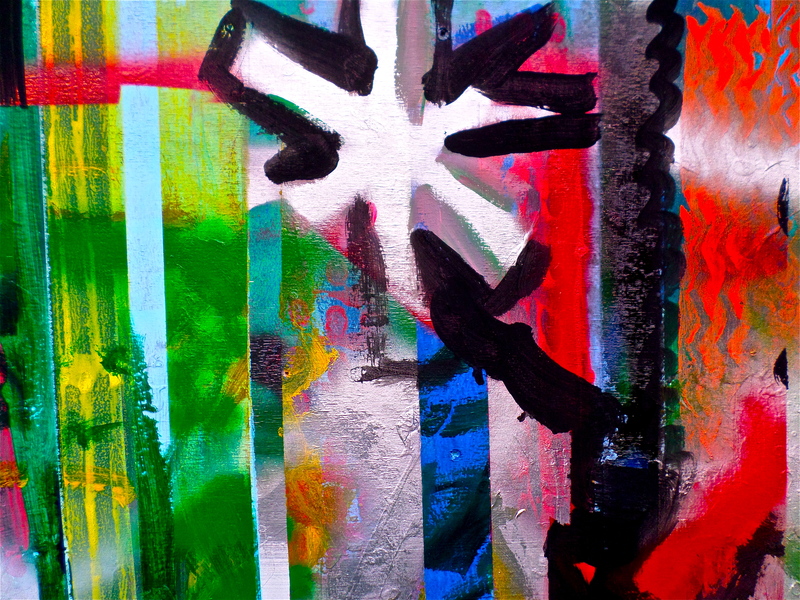 PLEASE SUPPORT the emerging art talents of these young artists by attending their exhibition this spring as they visually express themselves and the greater community around them. 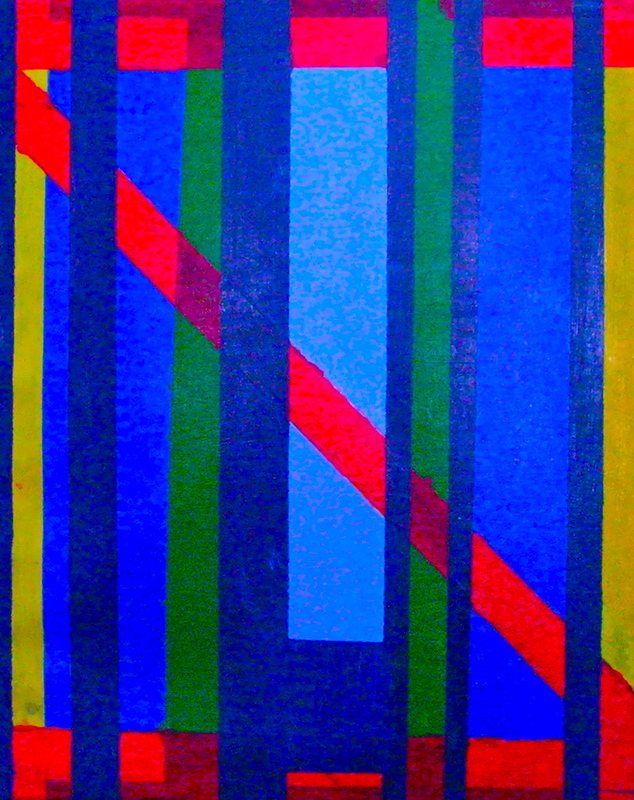 This work has been on permanent display in the various elementary buildings and the board of education. 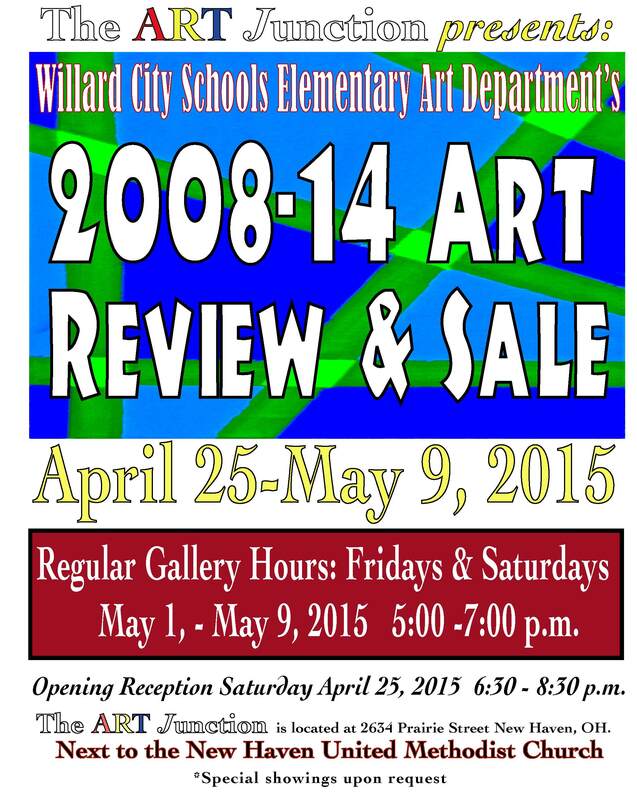 Now see the work collectively in one exhibit as we transition into the new Willard Schools facility. 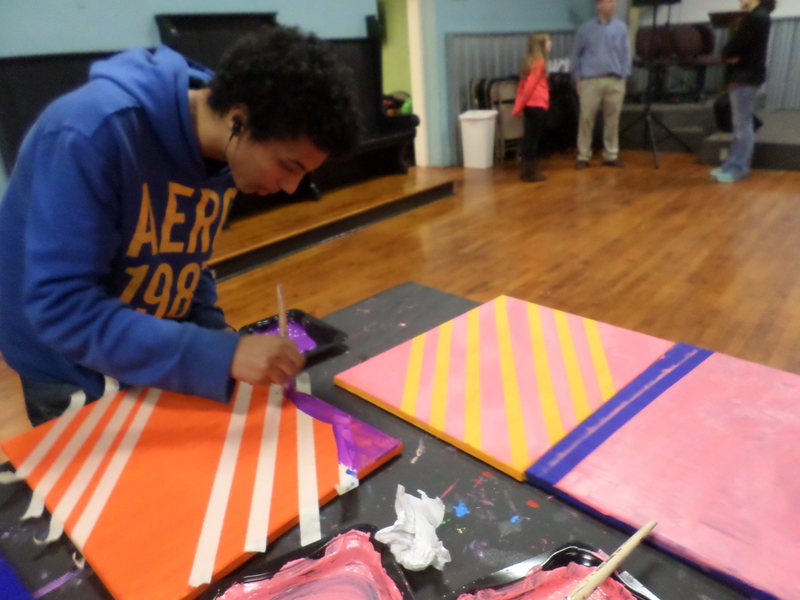 The students’ paintings will be on sale during the exhibit for $20 each. 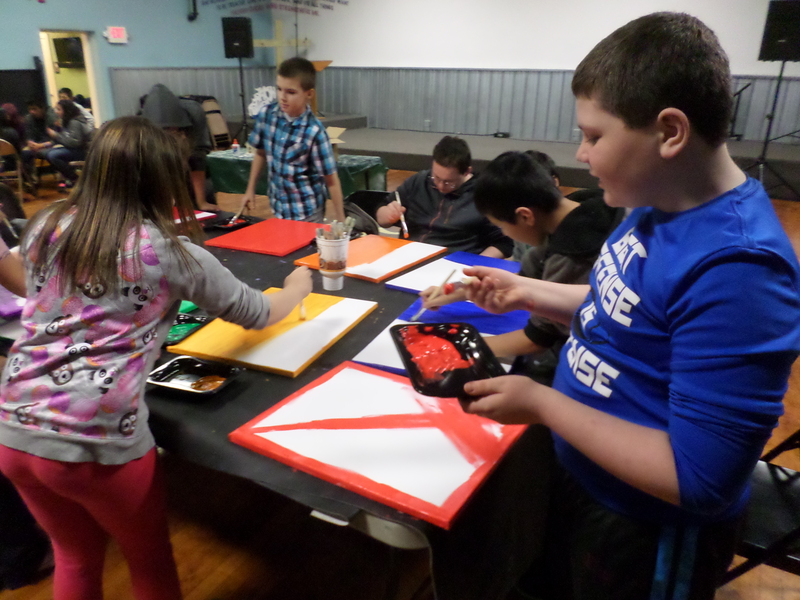 All proceeds from the sale of their artwork will be placed in the art fund for the Elementary Art Program. 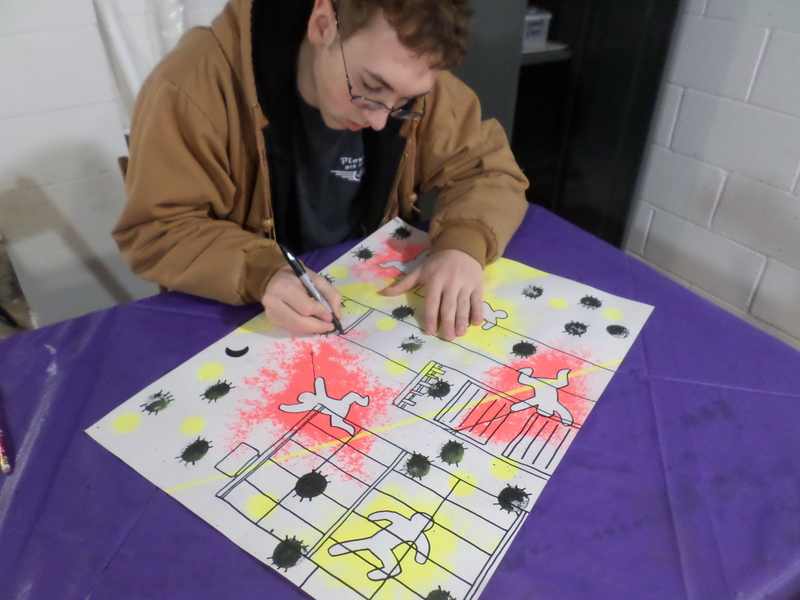 Their artwork would be a great addition to your home, business or organization! 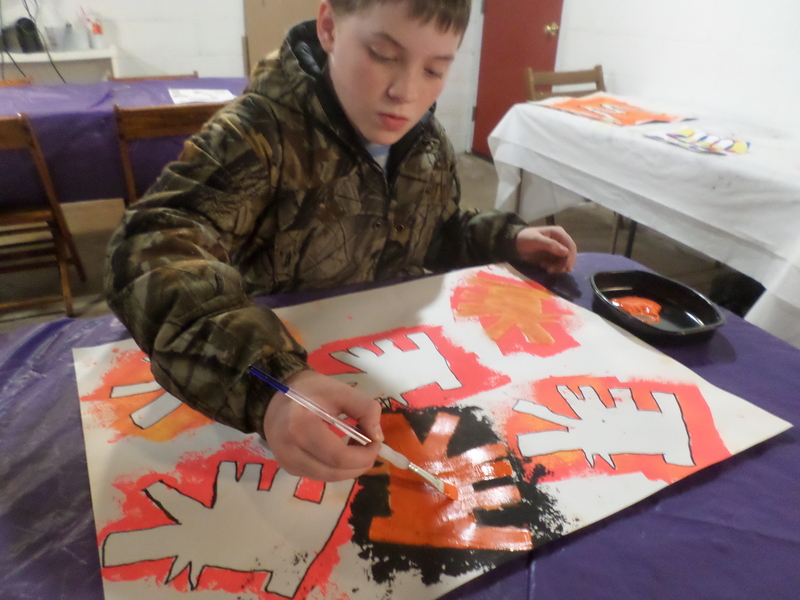 Students at the Willard Hope Center added a second layer of paint to their paintings. 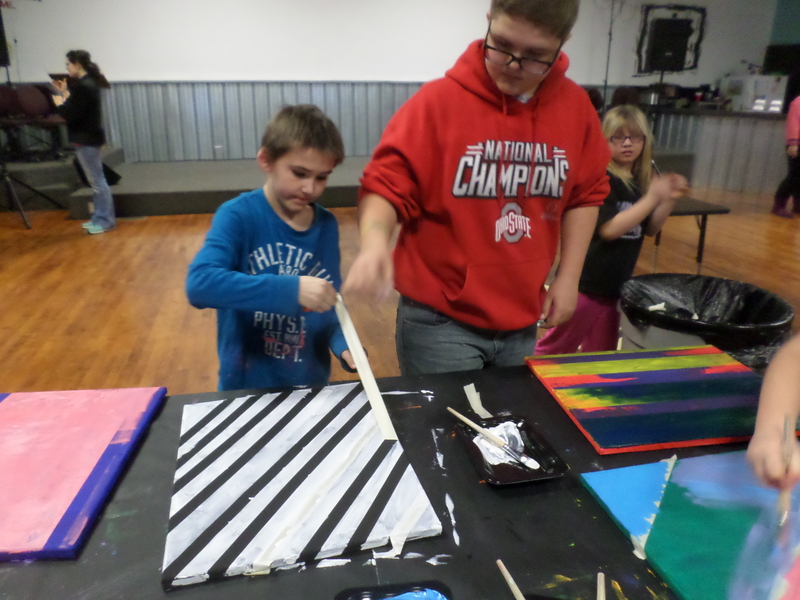 Everyone learned how to use masking tape to add dimension to their images. 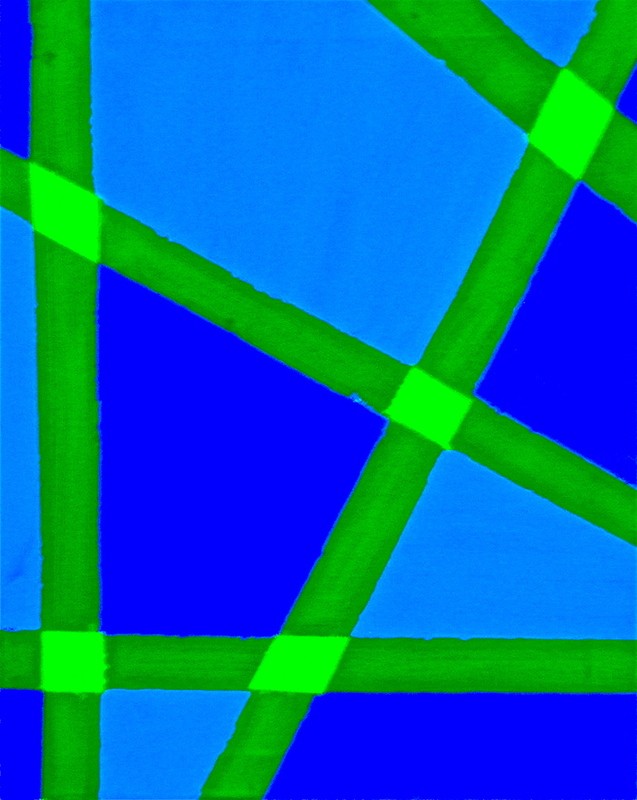 Students added another layer of color to the images. 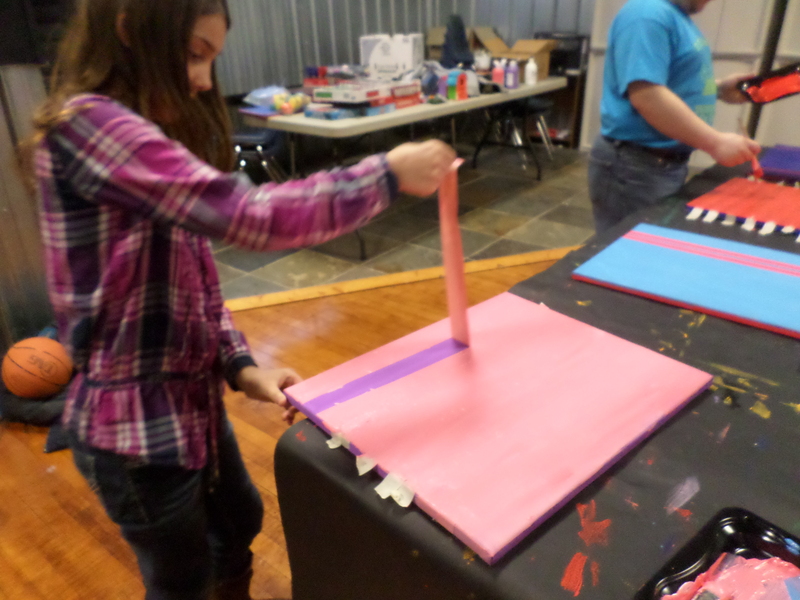 Everyone was excited to see their results with using the masking tape. 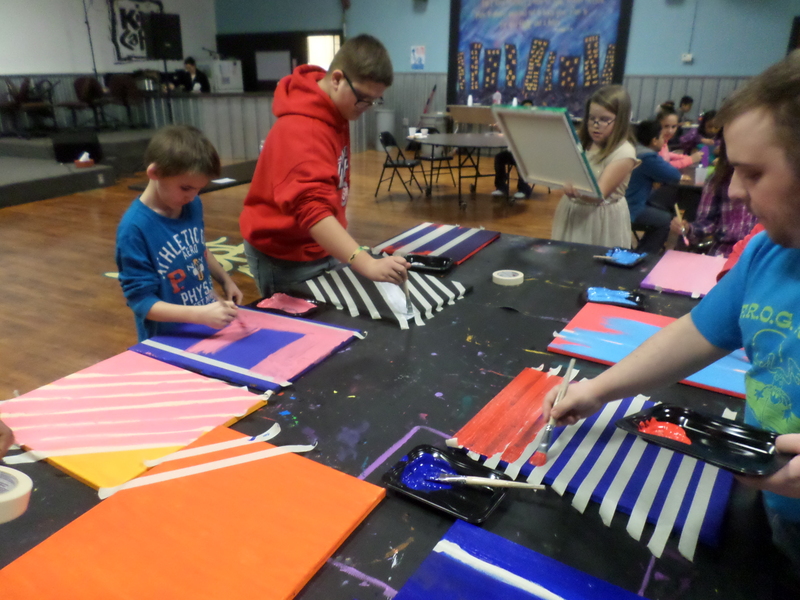 It was great fun to see the students become involved in the creative process as the painting process moved forward. 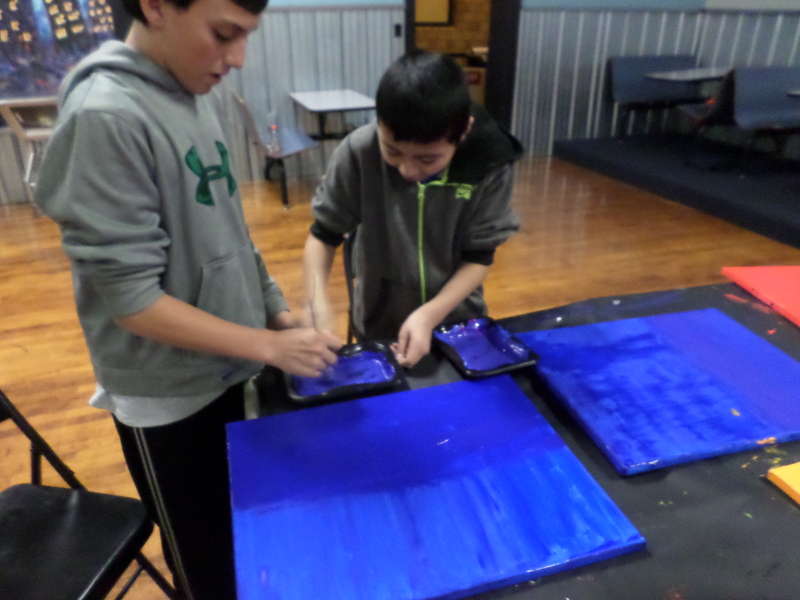 Wednesday afternoon students worked hard to complete their monoprints. 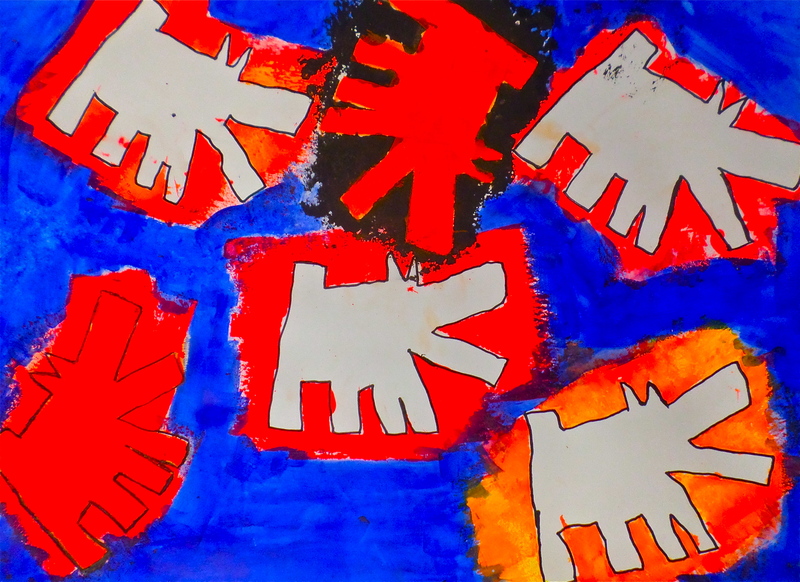 Everyone added details with lines, shapes and various mediums to complete their images. 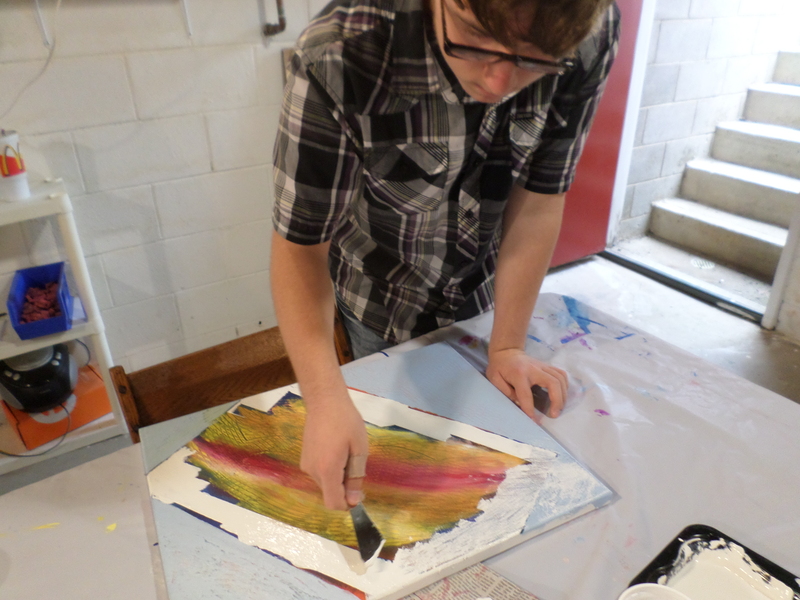 Students incorporated colored pencil, acrylic paint, and marker to create wonderful mixed media monoprints. 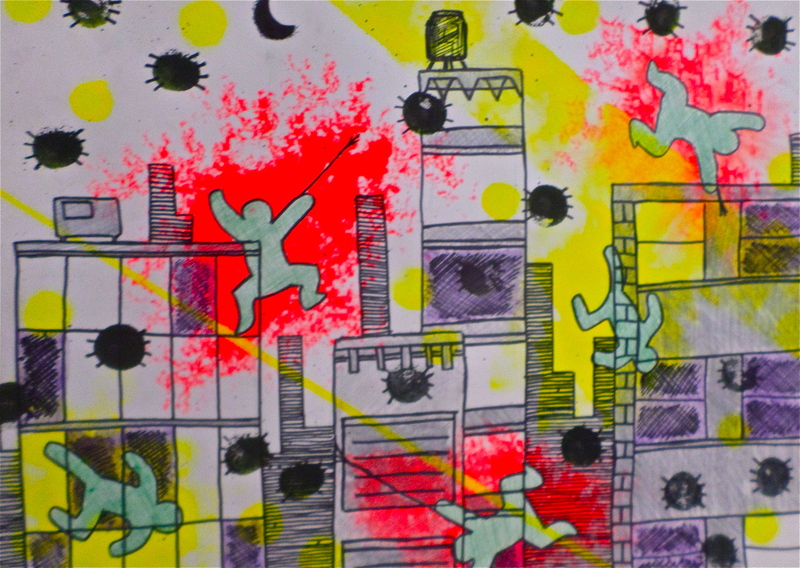 Here are examples of the students’ work as they used pop art imagery for their ideas. 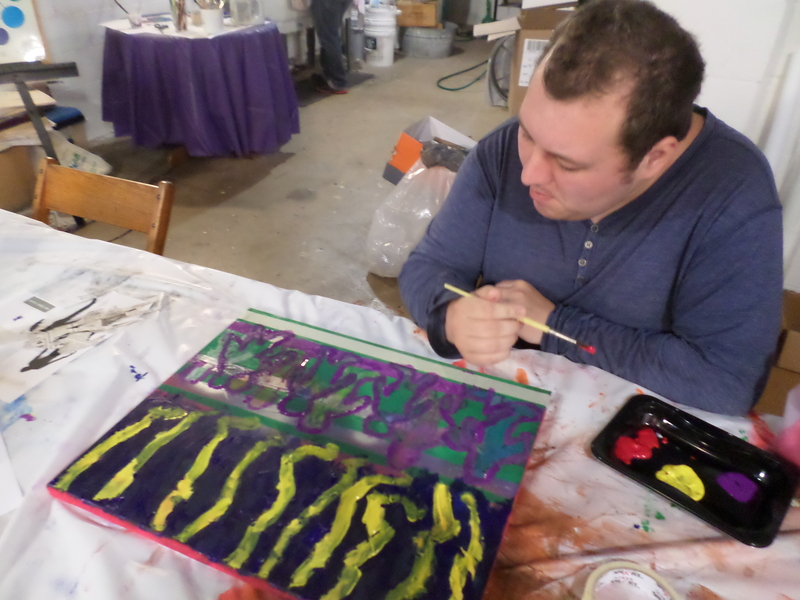 Maybe you can join us for our fall sessions of Wednesday afternoon art classes. 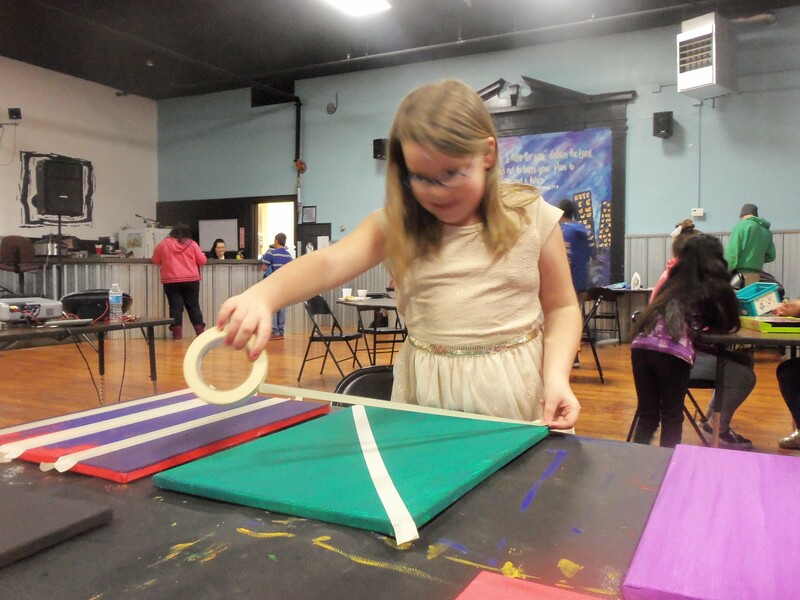 The Art Junction offers many different classes. 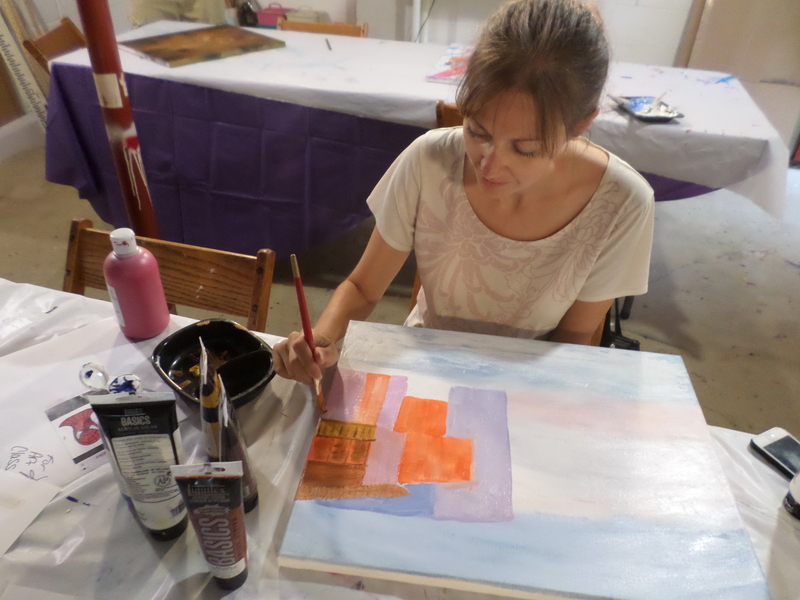 One of our favorite is the expressive painting class where everyone explores painting, new techniques and materials together with having a lot of fun! 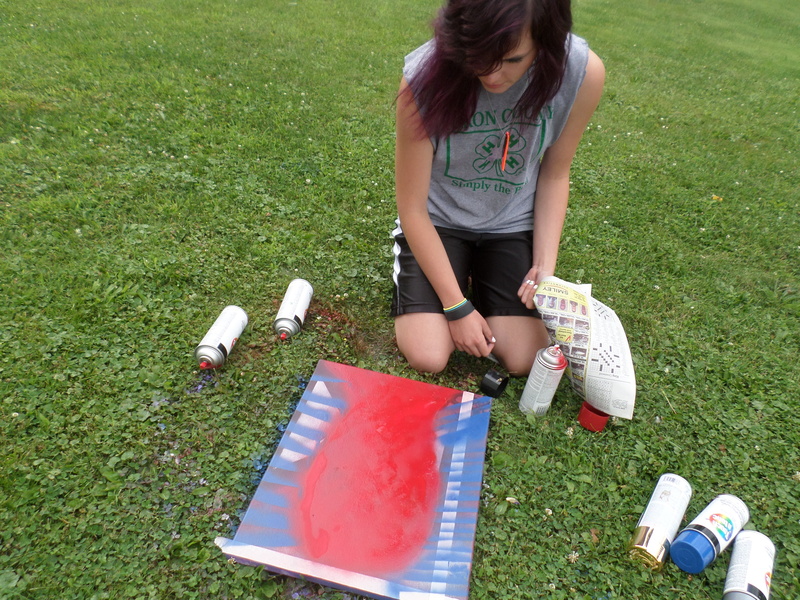 We started this painting session by working outdoors on our ever-changing mural. 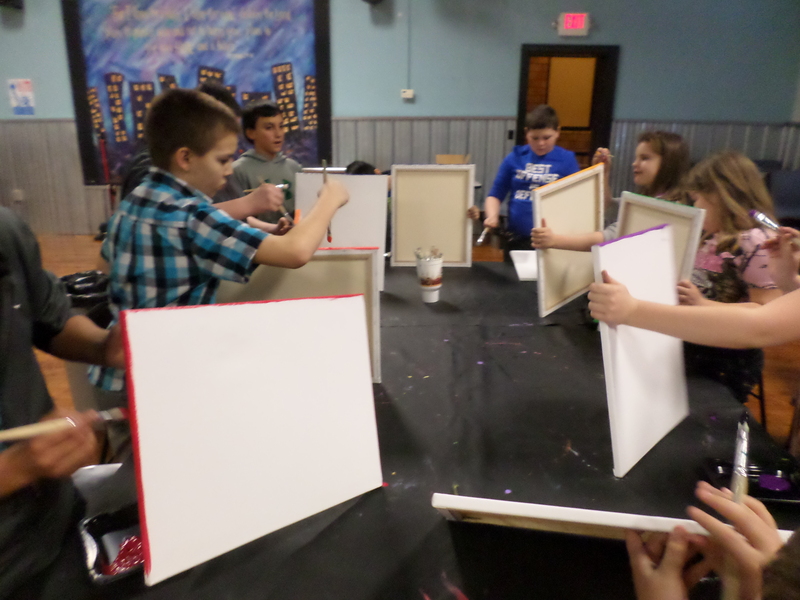 The idea was to loosen everyone up to the painting process to free their creative ideas. 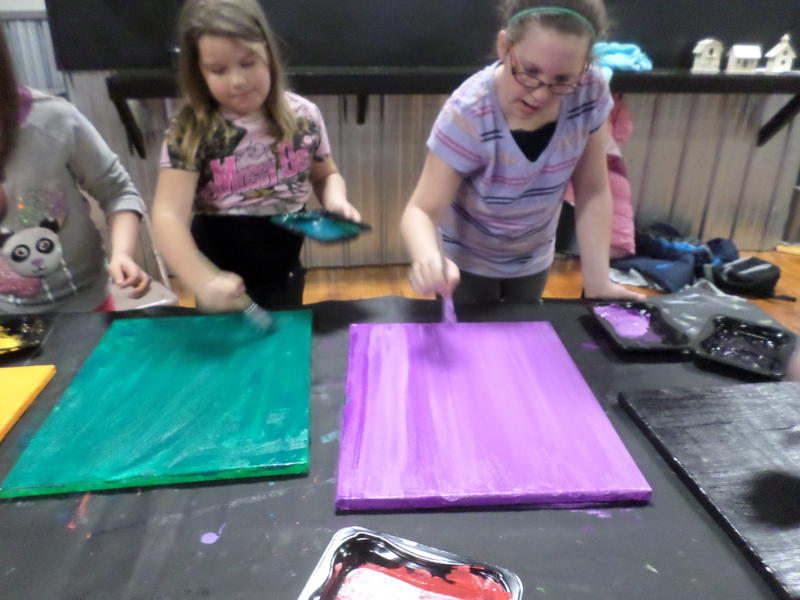 Everyone jumped into the painting process after our little outdoor exercise. 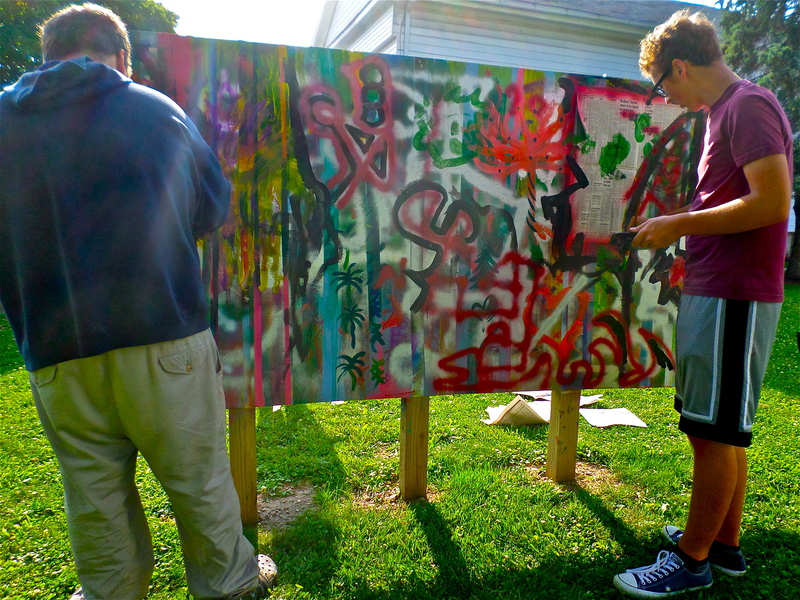 Participants concentrated on their canvases. 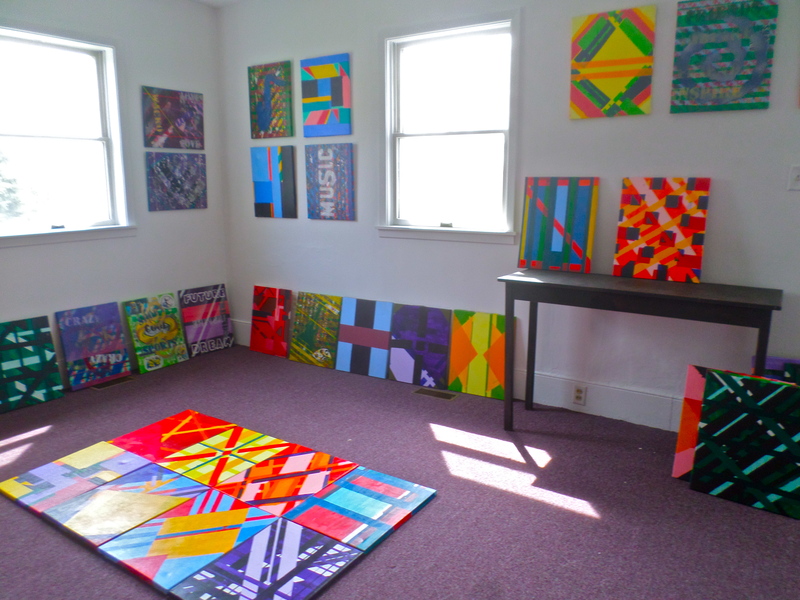 There was a lot of great energy in the studio this evening. 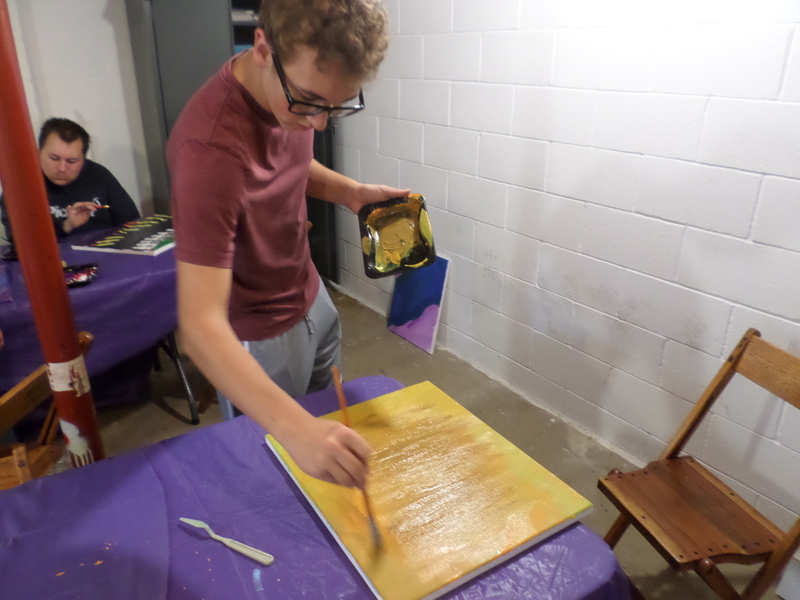 It was great to see everyone jump into the painting process after loosening up outdoors. I’m excited to see what the following week’s progress will produce with everyone’s excitement.